Zalman Shneour (1887-1959) was born in Shklov, Belorussia. At age thirteen, he left for Odessa, the great literary and Zionist center of the time. In 1902, Shneour moved to Warsaw, where Hebrew projects were expanding, and on Bialik's recommendation, he was hired by a large publishing house. At the same time, he published his first poems. 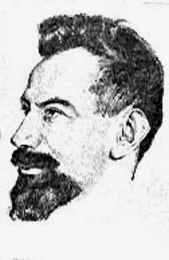 In 1904 Shneour moved to Vilnius where he found work on the editorial staff of a Hebrew daily. There, he published his first collection of poetry, his first novel and a collection of stories. Schneour's poems were very successful and several editions were published. In 1907 Shneour moved to Paris, where he continued his literary work while studying literature, philosophy and natural sciences at the Sorbonne. From 1908 to 1913 he traveled in Europe and also visited North Africa. At the beginning of World War I Shneour was in Germany, and was interned along with all Russian subjects. During the war years he studied medicine at the University of Berlin and worked in a hospital. In 1923 Shneour settled in Paris, where he lived until Hitler's troops invaded France in 1940. He fled to Spain and from there to New York, where he lived from 1941 until he came to Israel in 1951. Between the wars Shneour wrote almost exclusively in Yiddish for the American Yiddish press and became one of the most widely read Yiddish authors. In the 1950s, he wrote for several Israeli newspapers, revised his Hebrew poetry and prose which were printed in various publications; he adapted his story "Pandrei the Hero" for the stage, and it was performed by Habimah. He also engaged in collating the body of his works, and was planning new works when he died in New York.